Home » Reviews » What Is The Best Blackhead Remover For All Skin Types? One way to get glowing skin is by using a blackhead removal tool that will help you get a clear face. Unfortunately, too many products in the market make finding the best blackhead remover for your skin take some time. But don’t worry, because this buying guide will help you find the best products for blackheads that you can buy online today. Before we get into the different kinds of blackhead removal products that you can buy online today, let us first discuss the kind of products that people often use for blackhead extraction. There are different kinds of ways to remove those pesky blackheads from your face. You can use one of the best blackhead removal strips, masks, cleansers, and tools to get clean pores. But getting all of these things isn’t really practical, it usually takes only one of these products to get fair looking skin with cleared up pores. Here are a couple of product highlight that we’ve listed to help you decide which is the best blackhead removal product for your face. Blackhead removal masks have become popular today because of its hassle-free application that will allow you to remove your blackheads with minimal effort. Using the best blackhead remover mask in the market will let you gain cleansed pores without experiencing much pain. Blackhead removal strips are quite popular a couple of years back, but has gained fewer fans over the years due to less painful alternatives. What’s great about blackhead strips is that they are quick, easy, and clean to use. It’s basically a band-aid that you just place on your face and pull after a couple of minutes. If you have gotten a facial from a dermatologist or a face spa before, I’m sure you must have noticed the small metal tools that they use to open your pores and scoop out the blackheads. Although highly effective, we do not suggest getting this kind of tool if you wish to remove your blackheads at home. This kind of tool requires expertise. Using it without proper knowledge may only lead to scarred faces and infected pores. Electric blackhead extractors are one of the most innovative products created for blackhead extraction. This kind of tool often comes in a small handheld form and it functions by opening your pores and sucking out the blackheads with a vacuum. What’s great about electric blackhead removal tools is that it’s painless, quick, and clean to use. But it does come with a rather hefty price tag. Since there are multiple kinds of blackhead removers available in the market today, I will share with you different lists that contain the best blackhead remover including the best blackhead mask, the best blackhead tool, and the best kit for blackhead extraction. Below is a short list of the best blackhead removal tools in the market today. Blackhead removal tools are the most high-tech of all the kinds of tools you can use for blackhead extraction. They’re also the most expensive too. Take a look and see what makes them so. The Comedo microdermabrasion machine is another great tool worthy of the best blackhead remover title because you can use it to effectively remove your blackheads, deep cleanse your pores, remove dead skin, whiten dark skin, smoothen rough skin, and improve your skin’s overall health. What’s great about this small machine is that it is highly versatile both in terms of design and use. It is completely waterproof, which means you can use it while you’re in the shower (a perfect time because hot showers cause pores to open). This product also comes with versatile settings that will allow you to set its suction power to 5 different levels. Be cautious though, as placing this too long in one spot of your face can cause redness and bruising. Users of this product enjoyed how they are able to adjust its suction settings in order to get a deep cleanse. Another thing that users loved is the fact that this product is completely waterproof because they can easily use it during their shower. One downside that users have noticed is that the highest level of suction can cause redness and even bruising to the face, especially when placed at one spot too long. 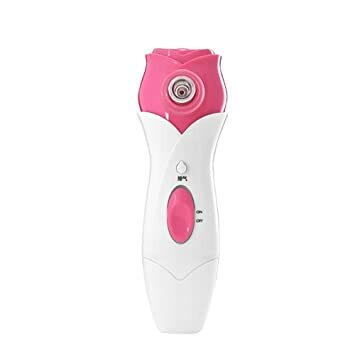 Miropure’s Electric Blackhead Remover has become the #1 new release of Amazon’s Microdermabrasion & Exfoliating Devices. 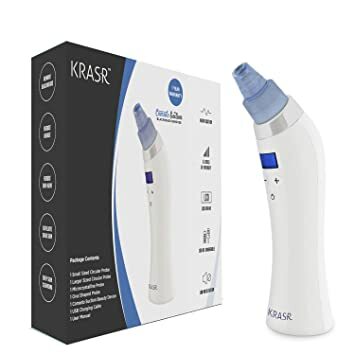 This product is ranked as the best blackhead remover for its outstanding customer reviews, effectiveness in removing blackheads, and 24-month warranty plan. This product comes with probes that clean blackheads, big oil-heavy pores, dead skin cells, and decrease wrinkles. There are 4 suction pressures that are powerful and can be adjusted. It’s important for your first use to use the weakest suction level, and no longer than 3 seconds on one area of the skin. Any higher suction level or longer time used may lead to bruising. The recommended usage is 5 minutes per session, twice a week. This device also features a 24-month warranty plan, accessible customer support, and a 30-day money back guarantee. To best apply this product, take 3-5 minutes to put a hot product, such as a steamer or a towel, on your face. This will open up your pores. Turn the machine on and select the suction level, starting at the lowest option. Hold and oscillate the product back and forth. Less than 2 minutes is the absolute maximum for initial usage. Users of this product reported that they were surprised with how quickly it got rid of their blackheads. It was popular for customers to use the product at night and by the time they woke up in the morning, their blackheads were gone. Users also encouraged other users to use a face steamer or hot towel prior to open the pores and get the best facial experience. The eTTgear Blackhead Removal Tool will give you gently deep clean of pesky blackheads and removes other skin impurities. The deep cleansing suction will minimize the appearance of large pores It can also help to remove excess oil, dirt, and whiteheads. It is easy to operate, waterproof, easy to clean, and portable for home or travel use. There is a 12 month warranty on this product and 30 days free exchange. To use this product, first open your pores with a face steamer or hot towel. Deep clean your face prior to use so the product can work the most efficiently. When blackheads are softened by the heat of your face steamer or hot towel, there is more suction to take them out. To turn on the product, simply instal the nose absorbing cup upward and click the power button. Move the product around the nose in circles or up and down. Users for this product reported immediate results in removing their blackheads, and marked a high preference for usage over a mask. They also said it made their skin feel smoother and healthier overall. Some users advise to use an ice pack after the session to decrease overall redness. Below is a short list of the best blackhead mask in the market today. Blackhead masks are deemed as the least painful blackhead extraction tool out of all the best blackhead removers today. 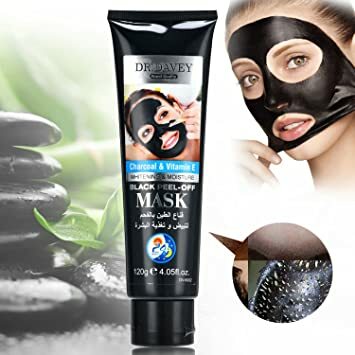 This blackhead mask has become worthy of the best blackhead remover title in the market because it is highly affordable, effective, and is practically painless to use. All you really have to do is apply an even amount to your face, let it sit and dry for a couple of minutes, and peel it off as it takes your blackheads with it. What’s great about this product is that aside from being an effective blackhead remover, it can also be used to remove dead skin, whiten up dark spots, and even wax off those little facial hairs. This mask also comes with certain ingredients that promote skin aging, oil control, and skin firming. What users loved about this product is that unlike other blackhead removal masks, this one doesn’t come with any unattractive odors. Users also enjoyed the fact that this product can be used to exfoliate, whiten, and even wax the skin it was applied to. This green tea infused black head mask can help you remove your blackheads in just 15 minutes because it comes with the perfect consistency for even and thorough spreading. What’s great about this product is that it's perfect consistency allows for seamless peeling. You will actually be able to peel this product off in just one go. Because of this product’s perfect consistency, you will also be able to reduce wastes since you will get to apply the perfect amount that your face needs. Perhaps the only downside to this product is that it can be a bit painful to remove when applied to sensitive facial areas such as the ones near your eyes. Most users who enjoyed this product kept commending how it is the best blackhead remover because it comes with the perfect consistency. Unlike most blackhead masks, this one isn’t too thin nor too thick. Another thing that users loved about this product is how easy it is to peel off the face. It can easily be peeled off as one whole piece, unlike others that come off in several small pieces. This blackhead remover mask from Dr. Davey is probably one of the best smelling masks in the market today. It's good scent probably comes from the all natural ingredients that were used to make it. 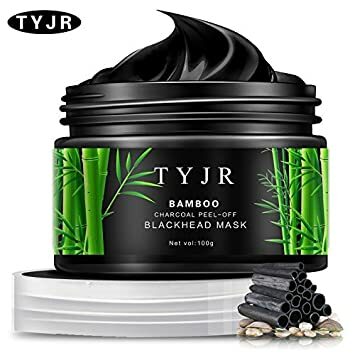 This blackhead remover can help you effectively clean out your pores because it contains bamboo charcoal, an ingredient that dirt and dead skin cling to. Aside from being an effective blackhead remover, this mask can also be used to prevent acne breakouts, wrinkles, and even oil spots around the face. Users who have bought this item specifically loved how it came with a really nice scent that’s not too strong for the senses. Another thing that users enjoyed about this product is how it made their skins felt really soft immediately after use. Users also commended the fact that this product is made with completely natural ingredients that are not harsh on the skin. 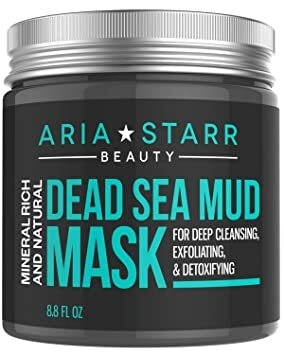 The Aria Starr dead sea mud mask is truly a heaven sent product because unlike other popular blackhead masks, you don’t actually have to peel this one off to get rid of those pesky blackheads or pimples. What this mud mask does is that it minimizes your pores, moisturizes your skin, firms up the overall elasticity of your face, exfoliates, detoxifies, and deep cleanses your pores so that you’d achieve a flawless looking face. What we liked the best about this product is how it is completely jam packed with nutrients and minerals that can significantly enhance your facial skin. We also loved how it comes with a one year satisfaction guarantee that you can rely on to get refunds if you ever encounter any issues. Most users thought that this was the best blackhead remover in the market because it’s a product that helped reduce their breakouts, whiteheads, and blackheads over time. Users also commended how this product is completely painless to use. Lastly, users enjoyed how this product left them with completely smoother skin. The popularity of blackhead peel-off masks has continued to earn the best blackhead remover title since such products have always shown effective and consistent effects when it comes to blackhead extraction. One great peel off mask in the market today comes from Toullgo. 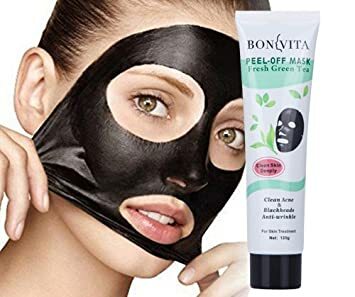 This black mask gets its black color form its activated charcoal ingredient that helps purify the skin by removing all of the dead cells, impurities, and blackheads. One thing we liked about this mask is how it can affect the blood circulation around your face. We also liked how it can help prevent the appearance of wrinkles and age spots overtime. Perhaps the only downside to this product is that you have to use it more frequently if your blackheads are severe. This can be a bit of a problem since it comes in such a small package. What users said about this product is that it can be an effective tool for removing both blackheads and facial hairs. It can easily remove all the gunk that has been built up inside your pores, but it can be a bit painful to use. Below is a short list of the best blackhead removal kits in the market today. Extractions kits are probably the best blackhead tool for immediate extraction. One great way to immediately remove pimples at home is by using a clean blackhead or pimple remover kit. Before masks and tools, only kits were deemed as the best blackhead remover. One kit that stood out to us among the others comes from Beaute Bleu. This blackhead removal kit comes with a unique set of tools that will allow you to efficiently remove blackhead to prevent them from evolving into acne. If used properly and hygienically, this kit will allow you to stop outbreaks from coming back and extract the dirt, pimples, whiteheads, and blackheads from the deepest parts of your facial pores. What we like about this kit is that it is completely easy to use whether you are a beginner or not. It comes with a very understandable set of instructions that will let you utilize the 7 tools included in this kit. As for the 7 tools, we were impressed that it was made with surgical grade steel that is completely corrosion free and dermatologist approved. This means that you wouldn’t have to worry about getting infections during use. 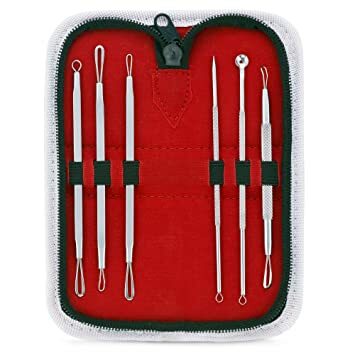 People who bought this tool loved how each of the tools are the perfect size for maneuvering during extracting acne, blackheads, and whiteheads. Users also loved the case it came in because it made for easier storage. Another thing users loved is how easy the tools can be cleansed. All you really need is a cotton swab and a couple drops of alcohol to disinfect the whole set. 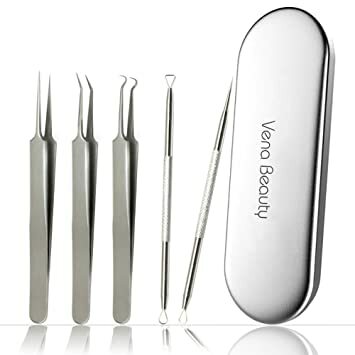 Another blackhead remover tool kit that you can use to treat facial blemishes, whiteheads, blackheads, and acne in a simple manner is the Vena tool kit. This kit is made of sturdy stainless steel that will allow you to safely extract the piled up dirt in your pores no matter how deep it is inside your pores. 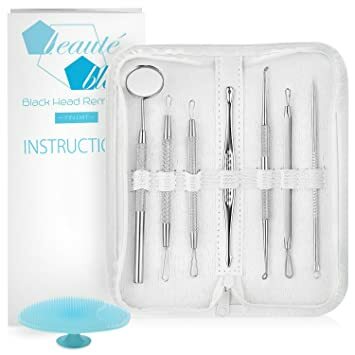 With this kit, you will get 5 tools that will help you gain your confidence back as you remove your comedone, blackheads, acne, and even fat granule. This kit even comes with its own sleek looking metal case so that all of the tools will be completely intact upon use. It’s case is also quite small, making it easy to fit inside your bag or your car’s glove compartment. What users loved about this kit is its overall practicality. Every tool that came with it was straightforward. Everything included in this kit can be used to effectively push out the blemishes out of your pores. The users also liked the sleek metal case that it came with. 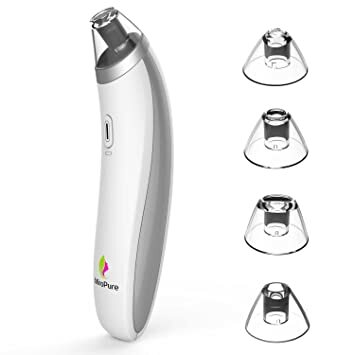 This CCS blackhead extractor is a great kit that you can get for yourself or for one of your loved ones who needs a simple set of tools to remove the blemishes from their face. What we liked about this kit is that it comes with a simple set of instructions that will tell you all about how to use the 6 tools included in this kit. It even comes with a free ebook that will provide you with extra facial care tips. Another great thing about this kit is that it’s completely safe to use. If you are afraid of getting infections or of exacerbating your blackheads or acne, then worry no more. This kit comes with tools that are made of easy to clean stainless steel. Whether you are planning on getting blackheads from the deepest parts of your pores or the yucky pus out of your acne, the tools included in this kit will certainly help you get the job done. What’s more is that this kit comes with a useful lifetime guarantee that will allow you to get a refund if you ever find yourself unsatisfied with this kit. According to majority of the users who bought this product, this kit is one of the most effective tools for removing acne, blackheads, and whiteheads. Users also highly appreciated that this product came with a set of instructions, as well as an ebook, that teaches how to properly use every tool in this kit. As you may have noticed, we have listed different products that fall under the 3 types of blackhead removal materials. The products we have included in this guide are masks, kits, and electric blackhead extractors. If you are still undecided which of these three types you should get, simply keep in mind that all three can be highly effective and that the differences mainly lie in their prices and usability. If you are looking for something low cost, then you should probably go with a nice mask. However, masks can be totally messier to use as opposed to electric extractors despite having the same effect. Electric extractors on the other hand are much convenient to use, but can cause bruising if not used properly. They also cost a lot more than masks. Also remember that products we have listed above aren’t the only things that you can rely on to remove your blackheads. There are actually several alternative for removing blackheads including keeping your face clean and regularly going to a dermatologist. Remember, blackheads can be very difficult to remove when your face it completely dry and when your pores are completely closed. The key to seamless blackhead removal is an open set of pores. You can easily open up your pores by taking a hot shower before you use any of these products on your face. If you happen to find a product that you like from my list, take note that you can easily get each and every one of these products online. Also know that the products we Have included in this list come with fairly affordable price tags that do not exceed 50 bucks. As for the delivery of these products, the shipping times may vary depending on where you are from. Of all the products we have included in this guide, we highly suggest that you go with the Aria Starr Beauty Natural Dead Sea Mud Mask. We recommended this product because we believe that it is truly the best of the best when it comes to blackhead removal. 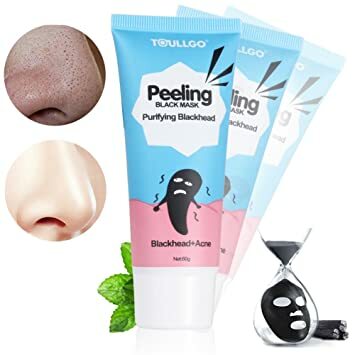 What’s great about this product is that unlike most kinds of blackhead removers, this one doesn’t inflict any kind of pain whatsoever, making it the best blackhead remover for all skin types. What’s more is that aside from removing your blackheads, it can also help you maintain a flawless facial skin. Well, there you have it! A complete guide on finding the best blackhead remover for your face. We hope you enjoyed this article as much as we enjoyed writing it for you. Stay around for more beauty tips! Great post. Thanks for the share. This article made me think of Christmas and I was wondering what would be an excellent present to get my wife. Any ideas guys? Thanks for a really thorough, informative article! It’s good to know there are so many options out there. I think I personally am going to opt for a mask. I feel so clean and fresh after using them. Great. More and more blackheads appear on my face until I was 15-year-olds. So sad and feel unfair to me. All of my friends, they never have to think about their skin, but it is always an important thing that I need to care. It looks like evil. Hello Mary, thank you for your comments and your reading. You should use some methods to remove or reduce the blackheads on your face first. trick. In addition, The contents are masterwork. you have done a wonderful job on this topic! I actually enjoyed the standard information a person provide to your guests? you made running a blog glance easy. The overall look of your site is magnificent, as smartly as the content material! This is my first time go to see at here and i am actually pleassant to read. All at one place. Hi, I do think this is an excellent website. I stumbledupon it 😉 I am going to return once again since I book-markedit. Money and freedom is the best way to change, may you be rich and continue to guide others. I besides conceive thence, perfectly post!